What Pink Lemon is all about! If you’re going to get your branding just right then it’s important that you establish a really good foundation on which to build it. The first step in creating (or updating) your branding therefore, is to be absolutely certain of what you want from your business. This then enables them to create a BRAND POSITIONING STATEMENT. At Pink Lemon we are passionate, ambitious and results driven. We believe that creativity and collaboration are the keys to good branding, and that good branding is the key to business success. We work with our clients to create effective branding that captures and enhances their corporate identity. It is therefore vital to our company that we maintain an open, honest and genuine relationship with our clients and that we are transparent in our policies and services at all times. We understand that our success is predicated on the success of our clients and that long term relationships are the best way to ensure the best outcome for both parties. Pink Lemon’s vision for the future is to firmly establish our company as a premiere branding and marketing studio in Kent. We will continue to specialise in brand development, strategy and creative design that help our clients to really stand out from the crowd. Our aim is to consistently grow our business and our team, gaining recognition through local and national creative awards and through facilitating workshops intended to highlight the importance of branding in the local business community. At Pink Lemon we work to increase the efficiency of our client’s communications by designing engaging, compelling and innovative graphic and marketing solutions. By increasing customer engagement, businesses can extend their reach and grow their profits. Our branding and marketing solutions are carefully monitored in order to track ROI and ascertain the most effective approach for each individual client in both the short and long term. 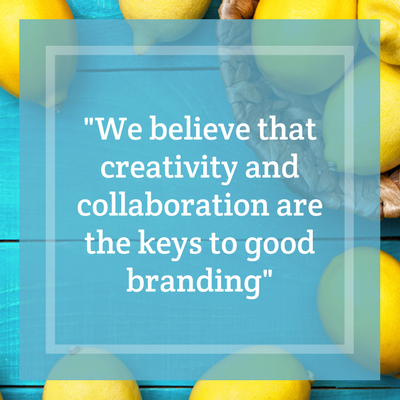 Pink Lemon provides SMEs with high-quality, bespoke creative solutions that help them to stand out from the crowd and attract their target audience. We in turn stand out from our competitors because of our client-focused service, excellent value and holistic approach. We are at all times personable and open in our dealings with clients and guarantee to respond quickly to customer queries and requests. Although we can be engaged for one off or short term projects, we believe that the best outcomes are achieved by really getting to know our clients in order to help them with their branding over months or even years. Pink Lemon promises to maintain consistent communications with the client for as long as required, to help them grow their brand in an organic and beneficial manner. Try listing out your values, vision, purpose and mission, and using them to create your own Brand Positioning Statement – if you’re struggling then just give us a call and we’ll help you start your journey towards better branding and business success.